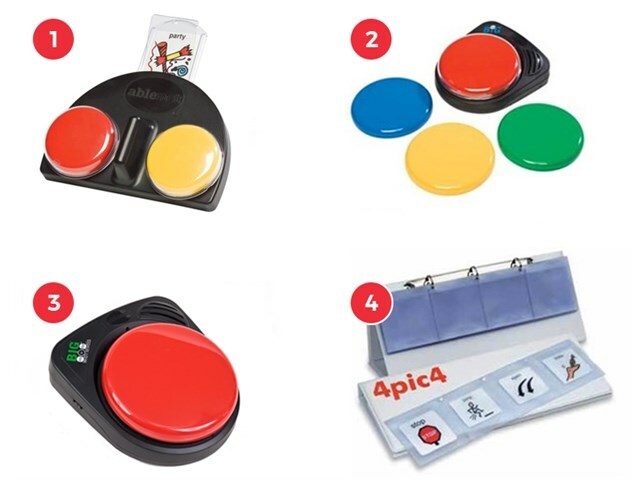 This kit provides the opportunity to ‘get started’ using communication aids; it includes a single message communicator, a sequential message communicator, a two message device with three levels and a specially designed ring binder to store communication images or make a simple communication book. 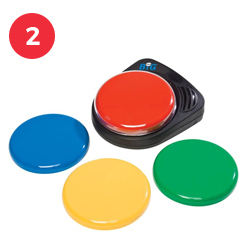 This is a great kit for those starting out with communication aids; the communicators come complete with Snap Switch Caps to allow you to easily add pictures or symbols, as well as cables to connect your communicators to toys and appliances. A two message device, with three levels. 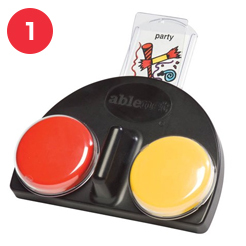 Is perfect for asking and answering questions, telling jokes and making comments in social situations.Read full product description. This simple communicator has lots of uses! 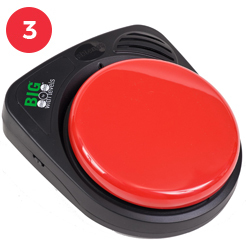 It’s easy to record speech, music or any sound into the BIGmack. Record a repeated phrase from a story or song for a user to play back at the right time. Read full product description. All the same great features of our BIG and LITTLE Step-by-Step Communicators with the power and convenience of levels! Read full product description. A set of plastic inserts in a ring binder. 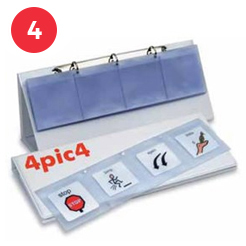 Store your images for communication activities, or make a simple communication book. Read full product description.